Comprehensive commercial and building services are the core on which our firm builds its reputation for excellence. We understand what owners, engineers, and contractors need to perform cost-effective, high-quality projects with consistent results in today’s evolving construction industry. Redevelop the Historic 44,000 SF facility into market Rate apartments under the guidelines of the Department of the Interior. The design-build redevelopment of the Nathan Clifford Historic building into 22 apartment units was a CM at risk project. 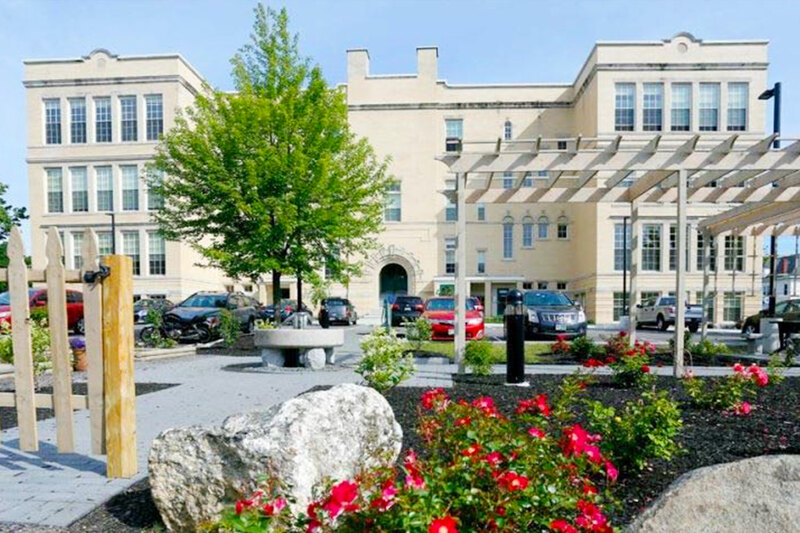 The scope of this project includes: Complete environmental Study and abatement, Building envelope restoration with new roof Complete Structural modifications, install new elevator, upgrade electrical, replace or restore all windows. Erection of Structural architectural steel for the atrium curtain-wall “Waterfall” feature at the EF Language Building in Cambridge MA. 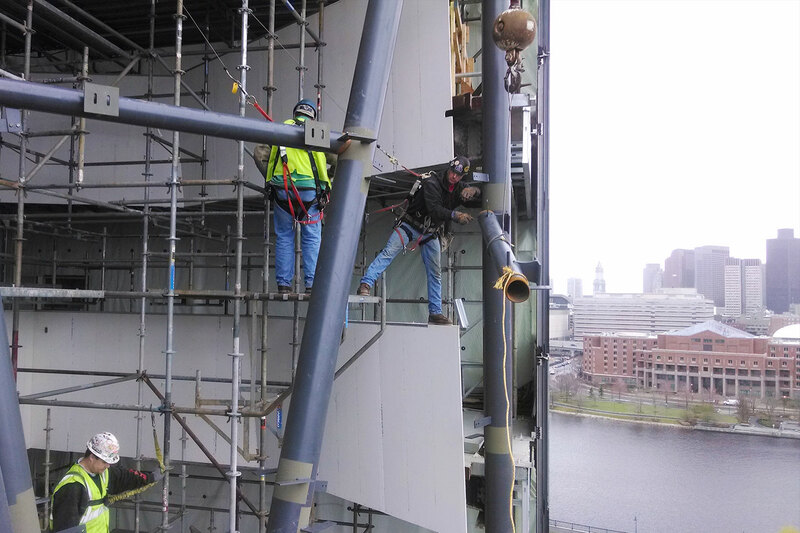 CCB provided all labor, equipment, safety and field survey engineering to erect and detail a 10- story tall, structurally supported, glazed architectural atrium in the shape of a waterfall. Once complete this project gained national attention as one of the 10 best steel projects completed that year. Complete the Building envelope and interior plaster restoration for this Renaissance Designed Historic Building. 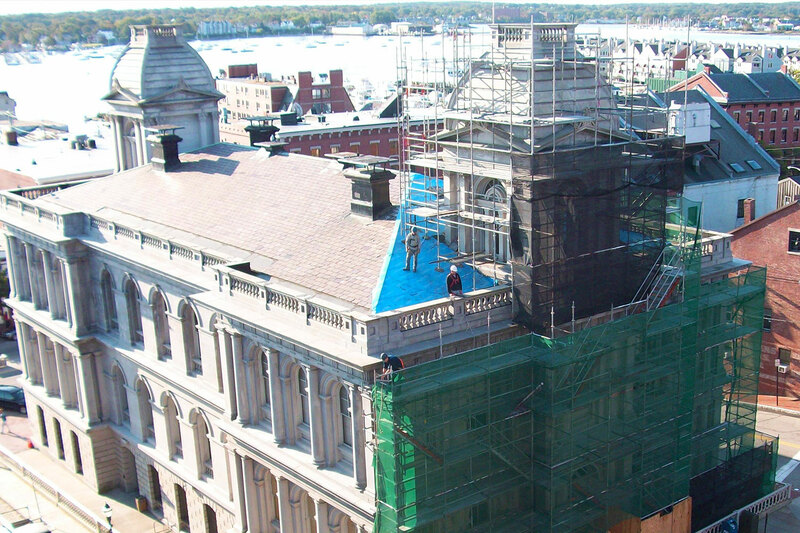 This project included complete roof replacement, interior ornate plaster work, and masonry repointing. As General Contractor CCB also self performed all General Conditions, restoration of 112 historic windows, application of “Kemper” membrane system and site safety.